This #BookFace is a long and winding road! 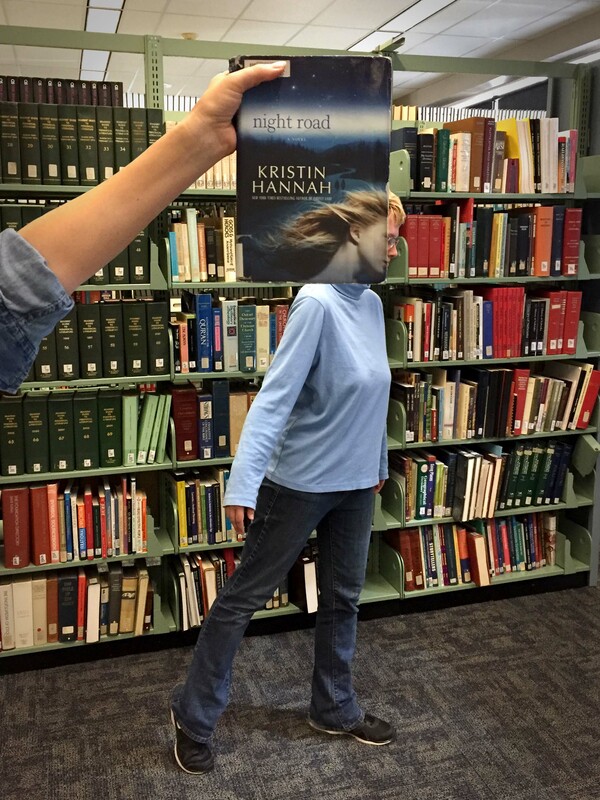 This week’s #BookFaceFriday is “Night Road” by Kristin Hannah (St. Martin’s Press, 2011). Hannah is a New York Times bestselling author, who is known for her beautifully written stories. This novel is a part of our NLC Book Club Kit collection, and would be the perfect next read for your book club! This week’s #BookFaceFriday model is Holly Atterbury, our new Talking Book & Braille Service Library Readers Advisor! Holly is originally from the East Coast (New Jersey) but she’s spent the majority of her life here in Lincoln. She earned her Bachelor’s degree in Literature out in Chadron, NE – a place she dearly misses. Holly is a writer at heart, who hopes to have a book of her own on a library shelf someday (fingers crossed). And, to connect to the book title – a fun fact is you’ll never see her driving along a night road, as she absolutely cannot see in the dark! Welcome Holly!